Five years ago, James’ best friend was diagnosed with heart cancer and told he had three months to live. His last wish was to be given a full Viking burial. This is the remarkable, hilarious and heart-lifting story of how James actually gave his best mate the send-off he wanted. 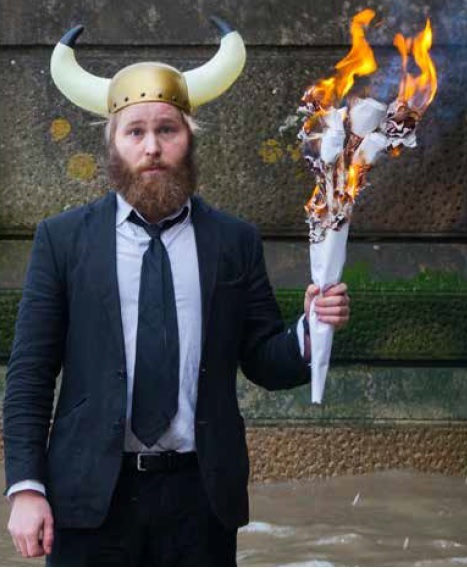 Team Viking was a breakthrough hit at the Edinburgh Fringe, combining storytelling, live music and comedy-theatre to rave reviews. A comic ode to death and friendship - featuring an actual Viking helmet - the show has inspired audiences from main stages to village halls across the UK.